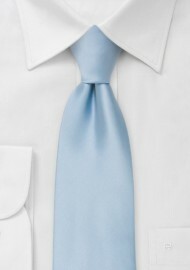 A light blue necktie at extra long length, made for taller men. 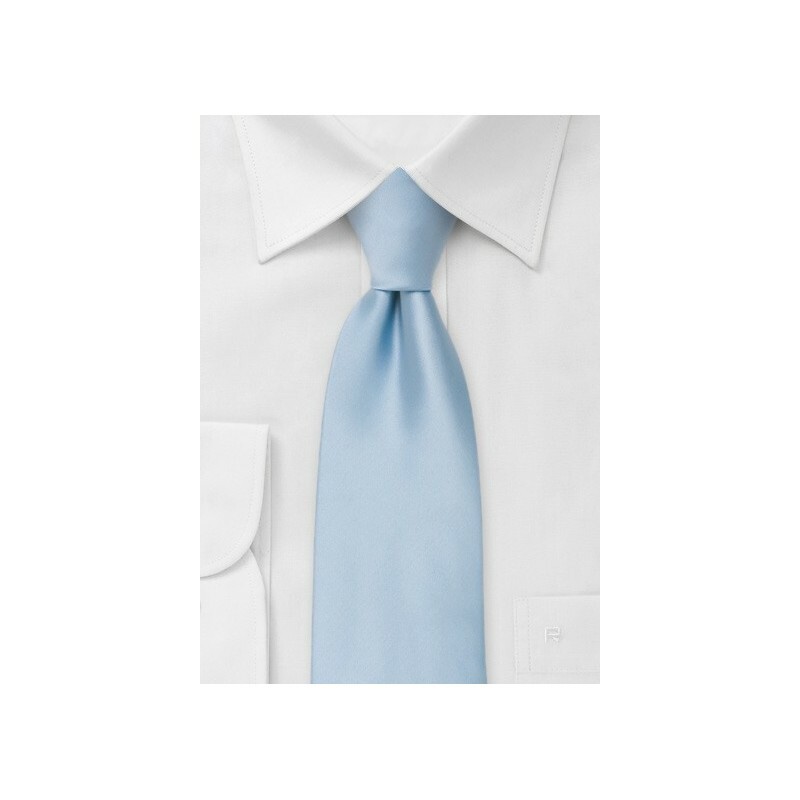 This light blue necktie is made from stain-resistant microfiber. Microfiber ties have a silk-like look and feel but are much more care-free. A prefect material for delicate, light colored, solid color ties. Extra long necktie. Length: 62", Width: 3.25"